The Halloween Themed Motor Pack consists of fine motor activities and gross motor activities with a Halloween Theme. 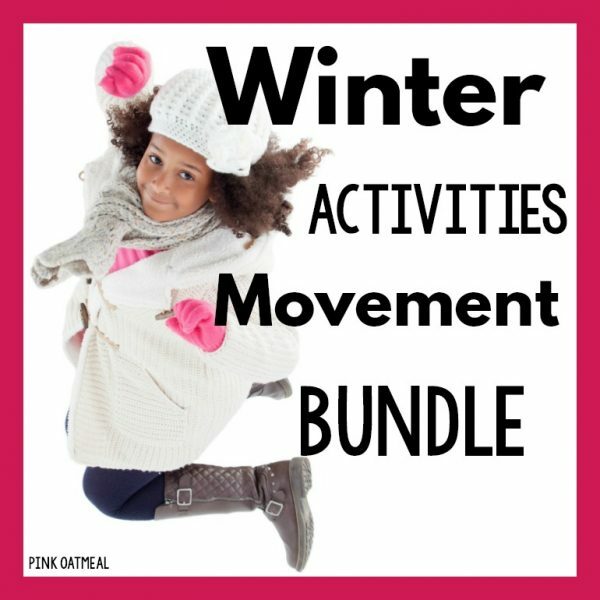 When you purchase this bundle you save money! With your purchase you will receive downloadable PDF files. You will not receive a physical product. Buy this and earn 10 Points for a discount on a future purchase. Points are only earned when you set up an account during checkout or are a logged-in user. 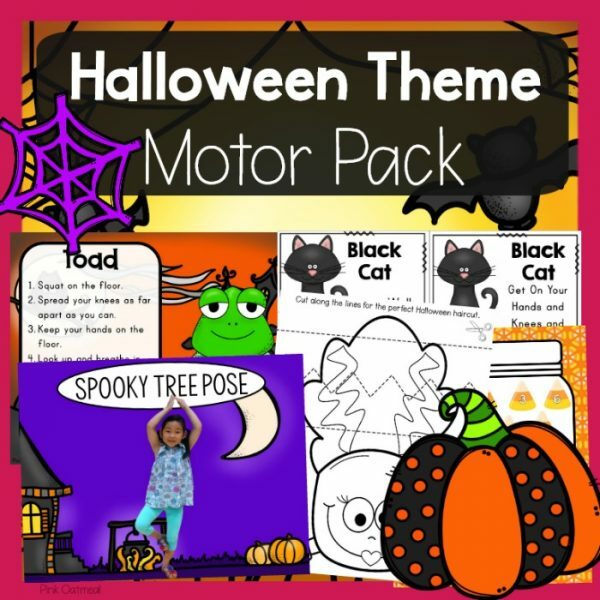 The Halloween Theme Motor Pack consists of all of your favorite fall themed gross motor activities and fine motor activities. This pack includes 3 sets of Halloween Themed cards and printables designed with movement in mind and a pack of Halloween themed fine motor activities (10 different activities). Please click on each individual product to see a full preview. Cut out and laminate, put on a ring box, or use on a bulletin board. Go no-prep and pull up the PDF on your interactive white board or iPad. Use at stations! 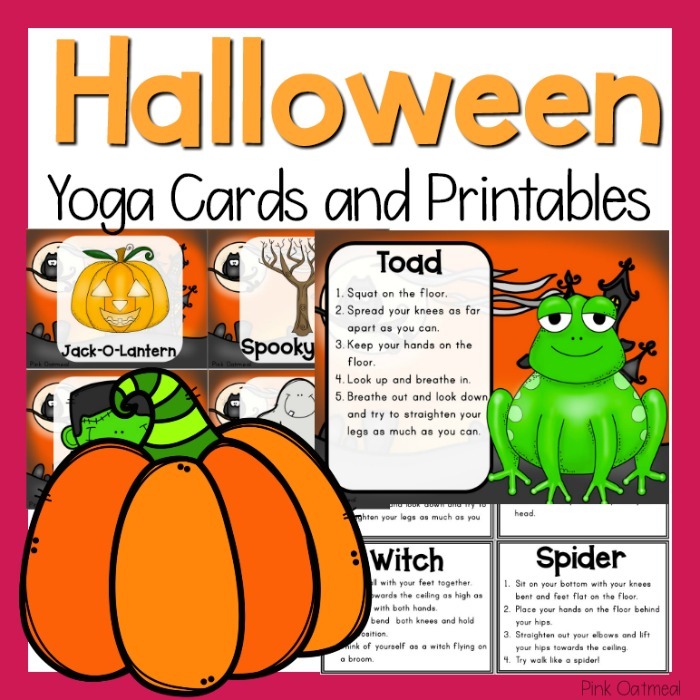 Anyone can use the Halloween yoga cards and printables. They are great for use in the regular classroom, special education room, occupational/physical therapy and physical education. These are perfect for use during a morning meeting, brain break, physical education or during transitions. Use in therapies as warm-ups or prior to testing! Use all of October or for a Halloween celebration! The perfect Halloween Activity for your classroom! 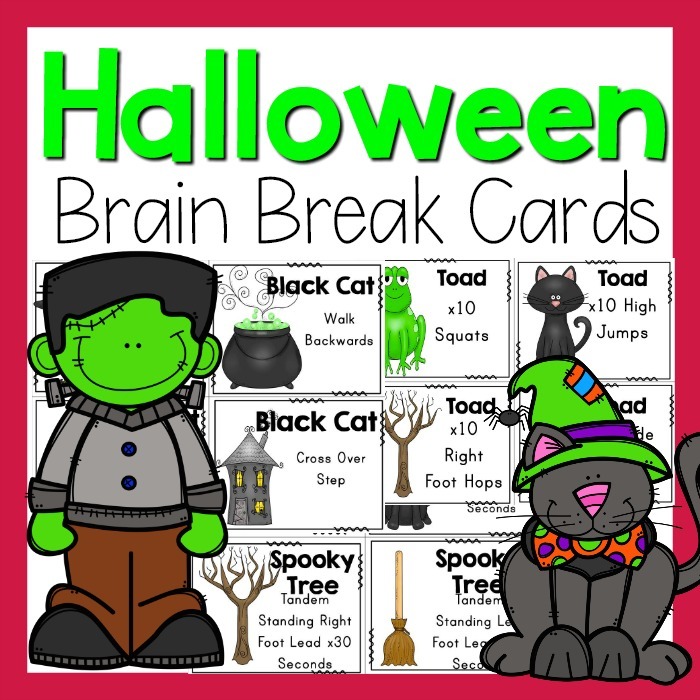 44 Brain Break Cards With A Halloween Theme. 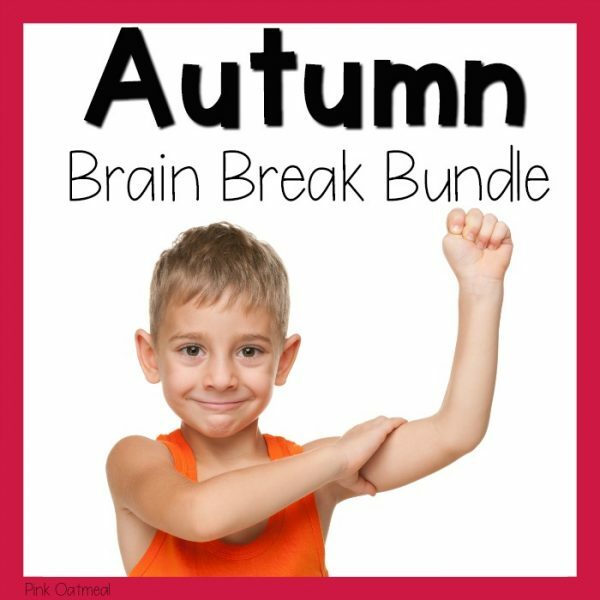 The perfect Halloween activity for your home, classroom, or therapy session!These brain breaks are meant to be fun, fast, and efficient. 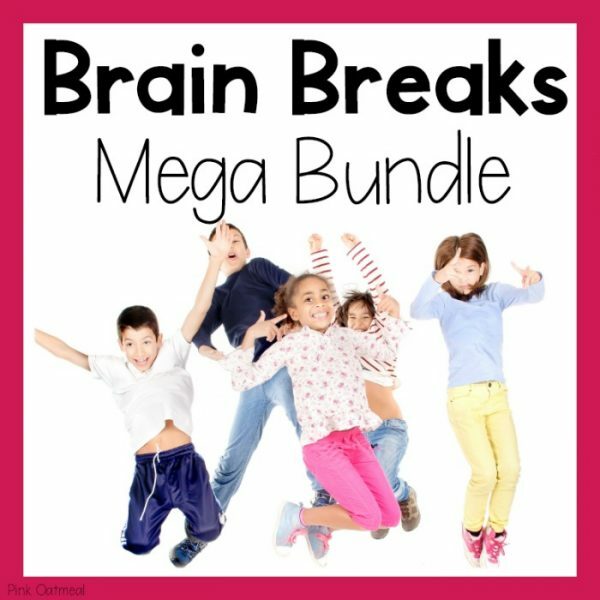 All of the brain breaks can be done in under 1 minute and in small spaces! You determine the time, distance, and duration to fit your needs and your setting! Cut out and laminate cards and put them on a ring or use on a bulletin board. Anyone can use the cards! They are great for use in the regular classroom, special education room, occupational/physical therapy and physical education. Perfect for Halloween Party! Perfect to use in stations, centers, or in groups. The cards are perfect for use during a morning meeting, brain break, physical education or during transitions. Use in therapies as warm-ups or prior to testing! Halloween theme adds a little fun to the brain breaks. The perfect Halloween activity with loads of benefits! Halloween yoga is great to incorporate into the classroom everyday! (note they are everyday objects and not pictures of kids in the yoga pose). 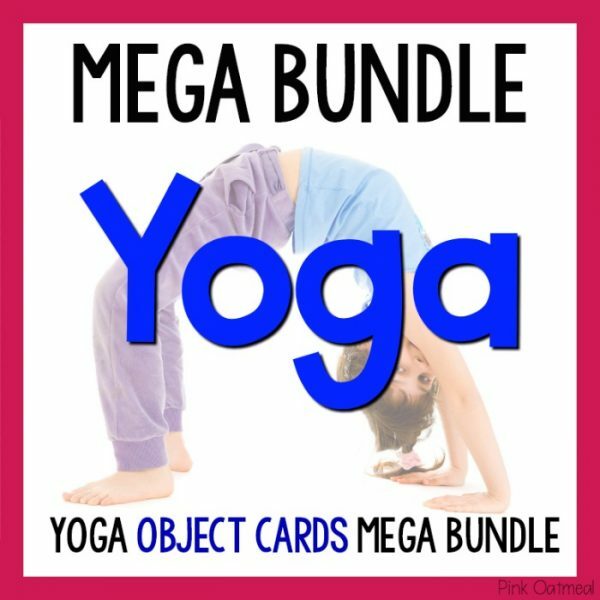 Cut out and laminate cards and put yoga cards on a ring. . Use full sheet printables for bulletin boards, centers, or workshop. Go no-prep and use the full sheet printables on your whiteboard or tablet. Anyone can use the Halloween yoga cards and printables. They are great for use in the regular classroom, special education room, occupational/physical therapy and physical education. They are the perfect Halloween Activity for your classroom! These are perfect for use during a morning meeting, brain break, physical education or during transitions. Use in therapies as warm-ups or prior to testing! Use all of October or for a Halloween celebration! 11 of the same descriptions (4 per page) if not wanting to print front to back. 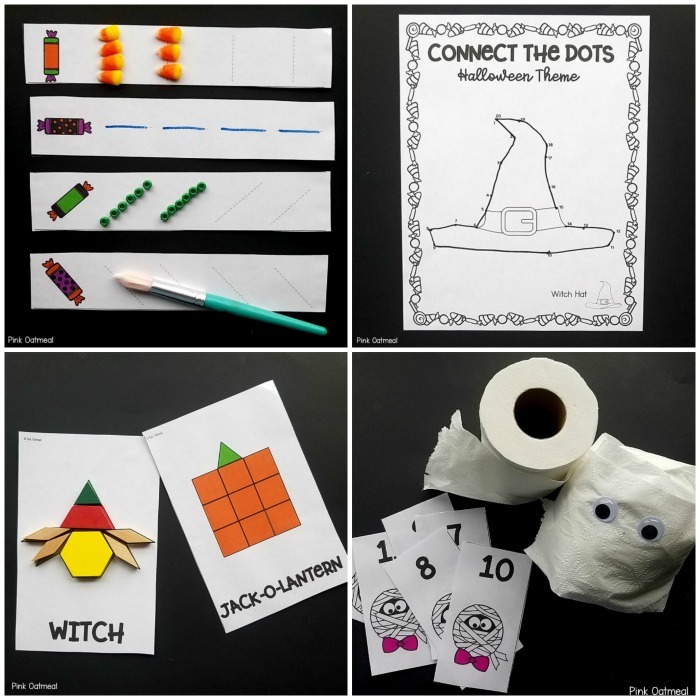 Halloween themed fine motor skills activities pack. 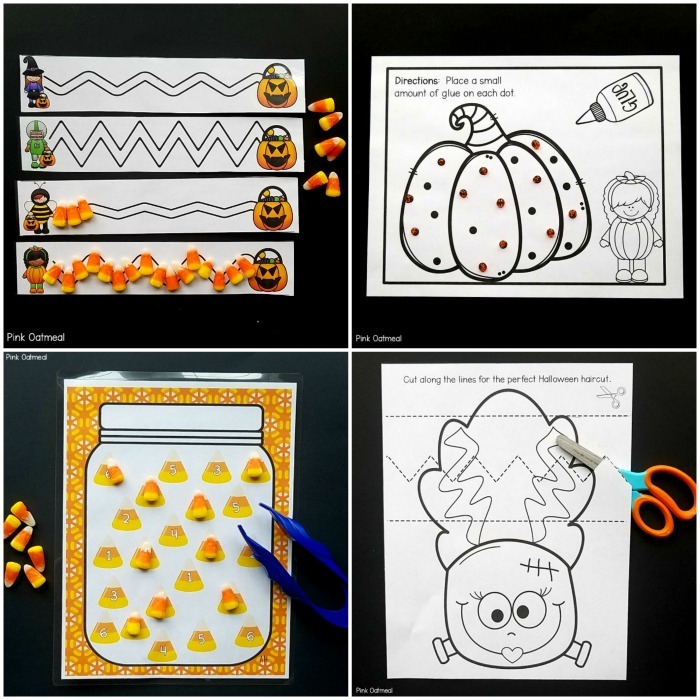 Fun activities that work on building fine motor skills all with a Halloween theme! Use these for the month of October and for all things Halloween. The perfect fine motor activities for Halloween! Use this fun Halloween Themed Interactive Power Point game to get the kids moving. Pick Halloween themed characters to reveal your exercise!